Because we homeschool, this has enabled us to try different strategies and settings for school work. I honestly thought quarantining him to a room by himself would help. His brothers wouldn’t be a visible distraction. And he wouldn’t get distracted by the noise—well, not as much anyhow. When you have three brothers, there’s bound to be some noise even if you’re in another room! I’m afraid to say, secluding him didn’t make any difference. If anything, it seemed to backfire. He seemed to spend hours looking out the window and daydreaming. My son is hitting that time of life when he wants to stay up later—and wake up later! This is a actually a very natural phenomenon. During puberty, kids start to secrete melatonin (the hormone that makes you tired) later in the night. This means, you end up with kiddos who want to stay up later and wake up later. Thankfully, we homeschool and we’re able to accommodate this pattern (within reason of course). The problem comes if we start to bend the bedtime rules too much. Too many late nights and not enough sleep make for a particularly distractable boy! 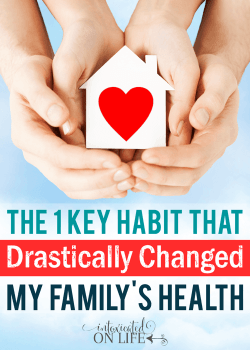 The first key to improved focus is making sure we maintain good sleep patterns. 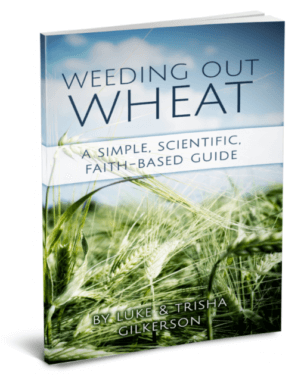 This is something we’ve been working to help teach our son about more recently. You see, he’d much prefer to eat a heavy carb breakfast that will cause his blood sugar to crash. We don’t need to ride that roller coaster throughout our school days! We’re working on helping him make meal choices (especially breakfast choices) that include plenty of natural, healthy fats and adequate protein. 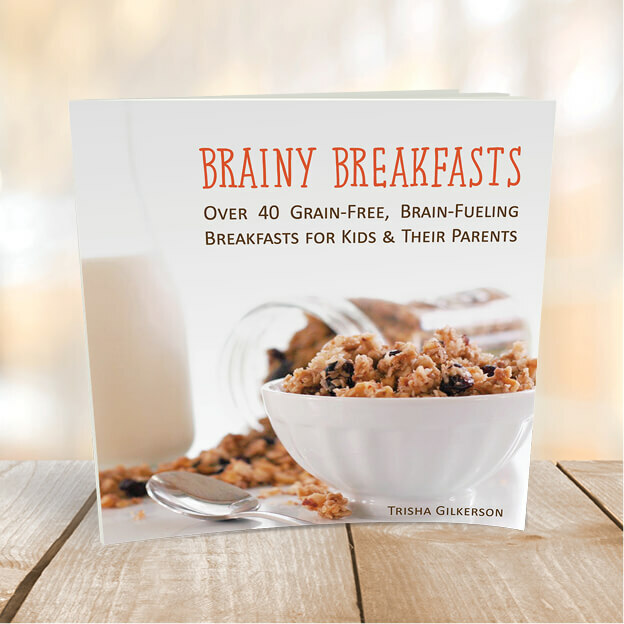 This is the primary reason I spearheaded writing the book Brainy Breakfasts with several other authors. 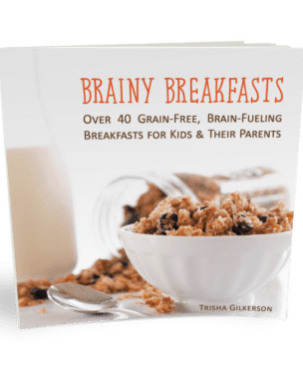 I wanted to have fun, tasty, grain-free, brain-fueling breakfast options for my kids. This has served to give my son some great options for breakfast. 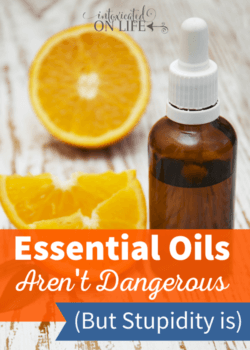 Essential oils aren’t the end-all-be-all in healthy living, but they’re sure a great tool to have in your tool belt. They’ve certainly enhanced our family’s life in ways I’d not have thought possible just a few years ago. 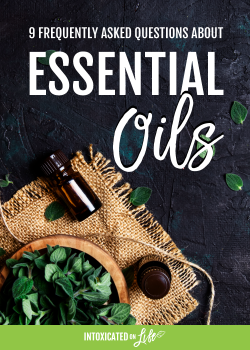 Learn more about my favorite essential oils in this post. 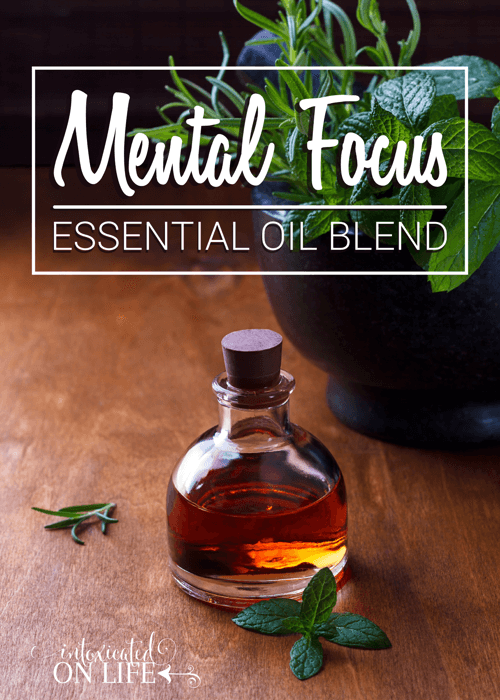 If you’d like to fill a 15 mL bottle with this blend so you can have it pre-blended, use 100 drops of peppermint, 100 drops of rosemary, and 50 drops of frankincense. You can then put 2-4 drops in a diffuser to diffuse in your room. 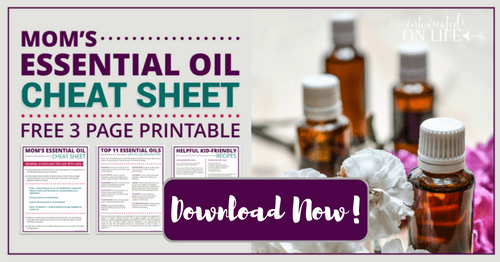 Or put 2 drops (for 2% dilution) in a 10 mL roller bottle and fill with fractionated coconut oil in order to use topically. 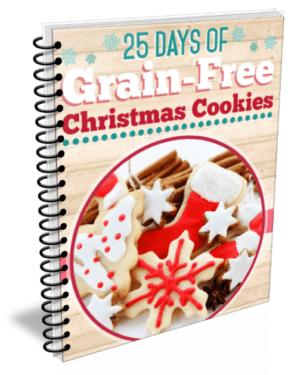 I hope you and your family enjoy this recipe as much as ours has! 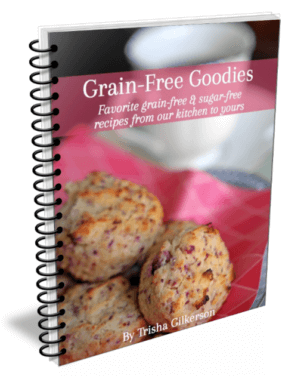 The FDA has not evaluated these statements. This product is not intended to diagnose, treat, cure, or prevent diseases. Wow! This looks like the perfect blend for this issue. 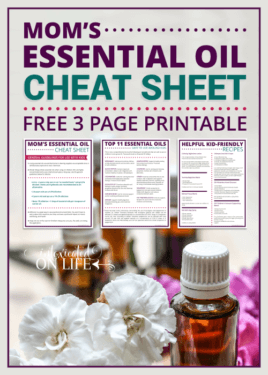 Just wondering if I’d be able to afford the oils as that seems like A LOT of drops to blend together…especially Frankincense which is already one of the most costly oils around. I might just downsize it and see how this works with my kiddos. How long does the original batch stay for? 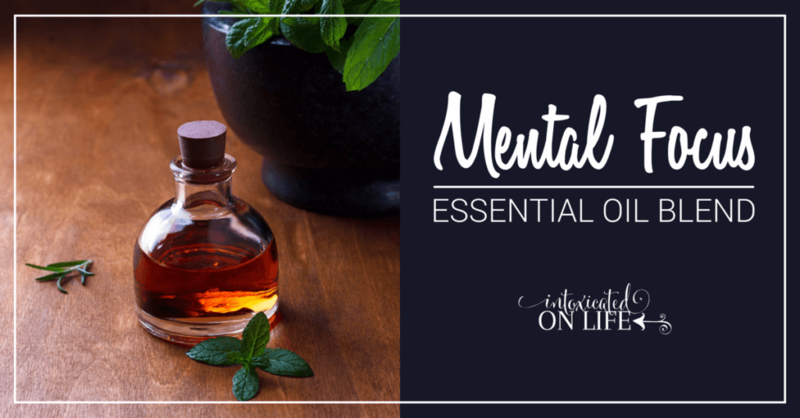 Do you think spearmint essential oil would have the same benefits as peppermint? I heard it’s safer for younger children. Oh my gosh I am getting the oils tomorrow. I already have peppermint, but not the others. My 8 year old son has had HUGE issues with focus at school and I am trying to not do any kind of prescribed meds. So, if I want to put this on him what are the actually amounts I use? How long does it last and would his friends smell it on him? Thank you so much, you don’t know what kind of blessing this is. Do you have any suggestions for autistic children? For mood or behavior. Any particular brands of oils I should look for? I apologize for the delayed response. I’m not sure if you’d had a chance to try this yet. If not, I wanted to try to answer your questions. When I make it to apply topically, I make a full bottle of it. Then I dilute it in a roller bottle at 1% if I’m using on the kids – 2 drops of the blend in a 10 mL roller bottle and then fill the rest of it up with fractionated coconut oil. I’d probably run it down his spine and also put it on his wrists. How long it lasts depends on the child. It can be reapplied as needed throughout the day. Some may smell it on him, but it’s not an unpleasant or overly strong scent. As for brand, I use doTERRA oils. I’ve been very impressed with their quality and customer service. This would have been helpful for my youngest sister! I am about 14 years older than her, and I remember my mother struggling to homeschool her for this exact reason! She was a daydreamer, easily distracted, and I remember the rest of us being done with school at noon,. and she would often still be sitting at the table when Dad got home at 6 pm! The good news is, she grew up to be a wonderful, smart, and talented lady, and she even attended college! It seemed it was something she had to grow out of, but I have no doubt if she were in public school today, she would be diagnosed as having a learning disablilty, and probably be medicated! She sounds a lot like my oldest son. He’s very smart, but daydreams and is very easily distracted :). We continually work on different strategies to help him out!